Ideas are the gateways of change in today’s world. A single spark in the mind and a little effort makes the world a better place. A single idea could bring about a tremendous revelation of sorts. Even reveries kind of gives us some ideas to ponder upon. 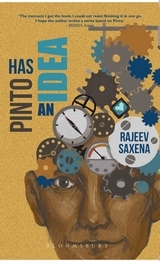 Rajeev Saxena’s debut novel “PINTO HAS AN IDEA” offer the readers a journey into Pinto’s life which orbits around the ideas with which he strives to find solutions for everyday global problems. The cover of the book although a dull color, steals our glances with its illustration of a man with gears at the top; with the title as the main attraction. The intruiging title would make people pick it up in the stores. The plot takes us through the life of Rajat Srivastava aka PINTO. He is an out of the box thinker even during his young age finding solutions for complicated things making them simple. Eventhough he studies in small towns he innovates new ideas and thinks different that makes him stand apart from the student crowd. An IITian and a scientist working in MIT, he suddenly realises what he wants to do in his life and sets out to solve the practical everyday problems of the world and settles down in Pune marrying Lavanya. What happened after he executes his ideas, the relationship between the married couple and whether his ideas made lives simpler and caught people’s attention forms the aftermath of the story. The book takes the readers on a roller coaster ride into Pinto’s life journey. He innovates new ideas such as Goodsnet, Ghumnata, Double H, Gumshuda, Paropkar, Swachalan, Food Master and Royal Dining. The ideas he proposes and the way he executes things proves that the author has done a multitude of research relating to these ideas and their execution. 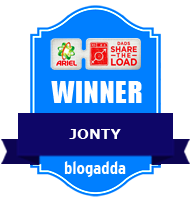 The ideas are explained in such a way that readers won’t find it difficult to understand them and they help people of every strata. There are a myriad of characters in the plot which makes it difficult to follow although there are only a miniscule of characters that remain in our minds till the end. There are also legions of anectodes told by many characters which was a little bit weary. The main victory of the author lies in establishing Pinto into the minds of the readers which he does it with ease. The other character which intruiges the reader is Lavanya, wife of Pinto who supports her husband to innovate something but staying selfish on some occasions. The plot is layered neatly with events that make the book a real page turner with occasional sprinkling of innovative ideas, sparkling emotions and humour. The book although a fiction doesn’t delve into the usual territories of love but rather accompanies the reader into a whole new territory of fiction which would be completely new for readers. The social issues raised in the book along with the ideas would make the readers think of them and who knows this ideas could ignite some new ideas in the readers. The ending seemed a bit hurried with the battle of emotions not quite impressing else this book could have been a cracker of a debut for its unique venture of storytelling and a perspicacious protagonist. Still, I would love to see Pinto trying new ideas and executing them in the future. A series on Pinto would be amazing and I am expecting it. This book is for all readers who expect something out of the box fiction rather a mundane one.